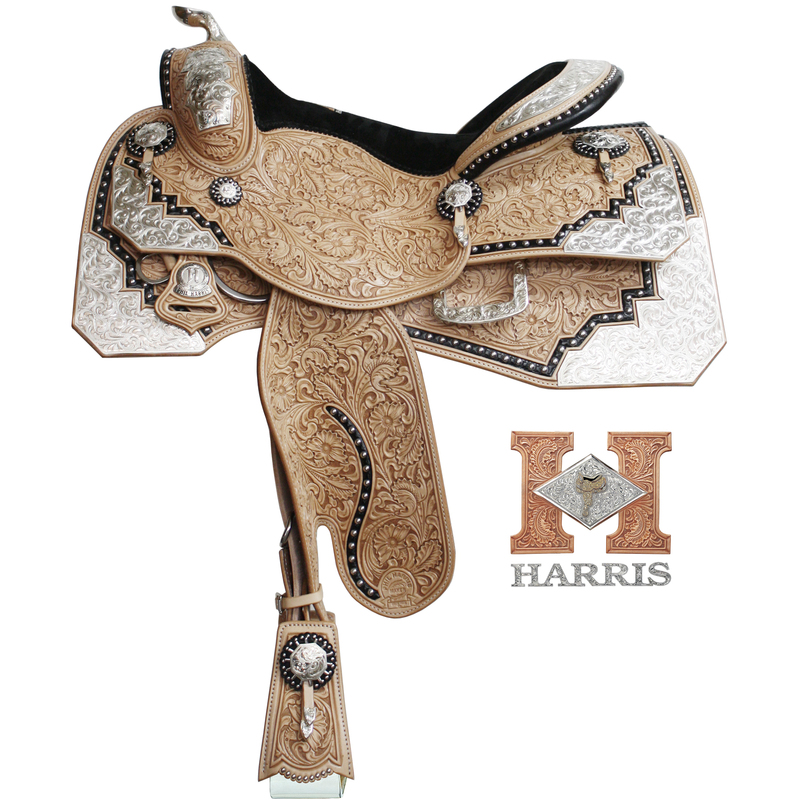 This saddle is designed to tastefully combine natural hand carved leather with black accents and skirt striping along with oversize, 45 degree silver cornerplates. 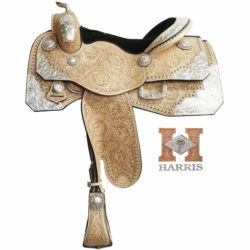 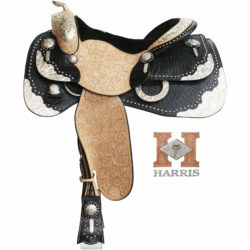 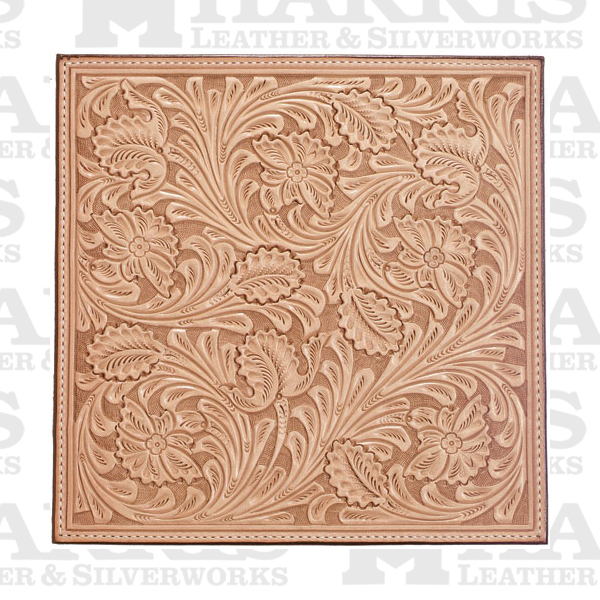 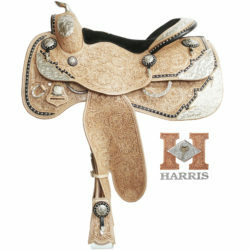 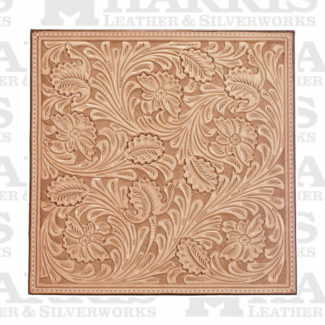 It is also designed with black ostrich leather accents on the cantle and swell rope roll. 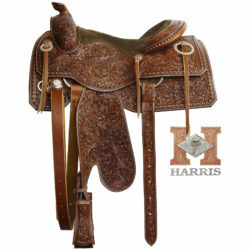 Please contact us at (336)874-2100 or (336)874-2194 if you have questions regarding saddle #130.